Homemade overnight cinnamon rolls are easy to prepare for the mornings you want a special breakfast. Prepare them the night before and let them rise in the refrigerator while you sleep. The next morning you bake them and enjoy them! Do you have a favorite recipe to make for Christmas morning? Many years ago I made homemade overnight cinnamon rolls for our breakfast on Christmas morning every year. I had this great recipe where you put the rolls together on Christmas Eve and then the rolls would rise overnight in the refrigerator. 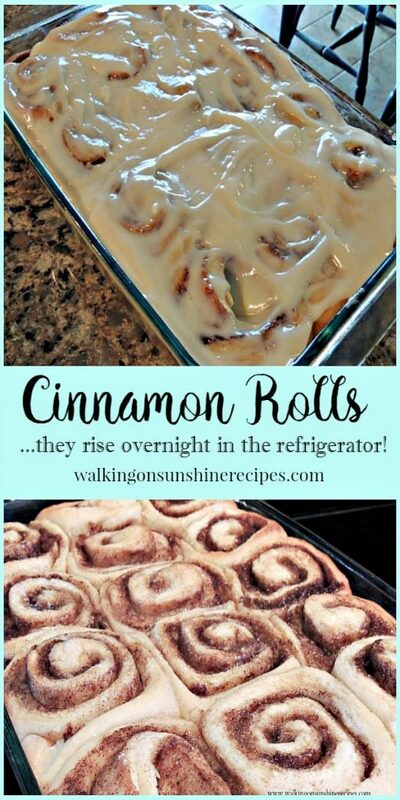 On Christmas morning, I would take the risen rolls out of the refrigerator and pop them into the oven while we opened our gifts and we would have these amazing overnight cinnamon rolls for breakfast. And then we moved. Need I say anymore? This was BEFORE computers. This was before everyone had the internet in their home. But more importantly, this was way before my blog started. My recipe was clipped from a magazine and I lost it in our move to a bigger home. 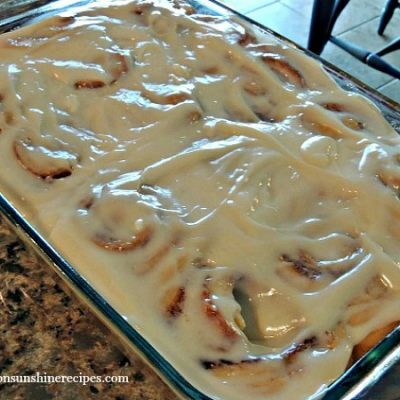 Over the years I tried a few other homemade overnight cinnamon roll recipes and have searched online but have not been able to find a recipe that came close to the one I used when my children were really little. This year I went on a search and found a recipe that came really close. In the bowl of a stand mixer, combine the yeast with the warm water and let sit for a few minutes. Then add in 1/2 cup of the flour. Cover with plastic wrap and let stand in a warm spot for about 30 minutes. Add the eggs, sugar, butter, salt, and remaining 4 cups flour to the yeast mixture. Using the dough hook, knead on medium speed until smooth 10-12 minutes. Add more flour as needed to reduce stickiness. Turn the dough out on to a floured board and knead a few times by hand to make it smooth. Place the dough into a greased bowl and cover with plastic wrap. Set the bowl in a warm spot and let rise for two hours or until it is doubled in size. After the dough has doubled in size, transfer it to a floured surface. 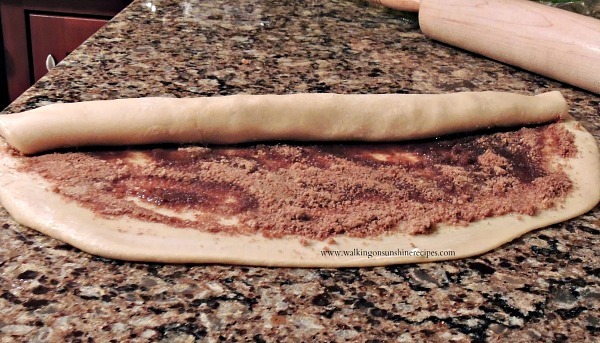 Using a rolling pin, roll out the dough until it is about 15 X 10 inches in length. Brush the melted butter over the entire surface of the dough. Spread the cinnamon/brown sugar mixture on top of the melted butter. Beginning at one end, start rolling the dough up. Slice the dough into 12 pieces, or smaller if you prefer. 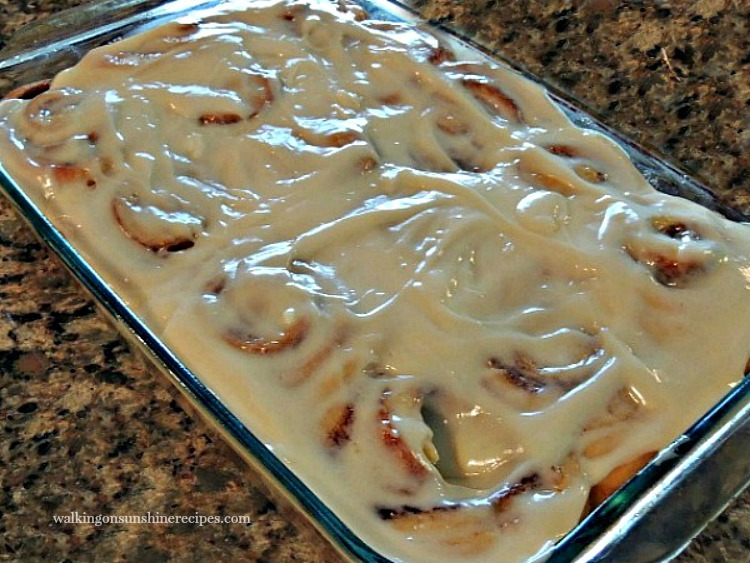 Place the cinnamon rolls in a buttered 9 X 13 baking dish. Cover with plastic wrap and refrigerate overnight. On a lightly floured surface, roll out the dough into a large circle. Brush the melted butter on top of the dough and spread the brown sugar/cinnamon mixture on top. Beginning at one end, start rolling the dough up to form one long roll. 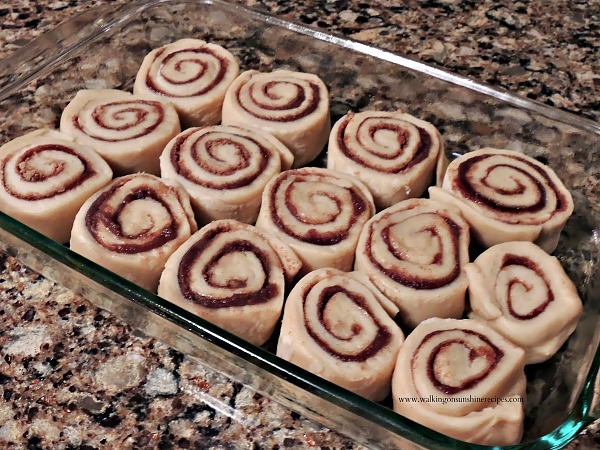 Place the cinnamon rolls in a greased 9 X 13 baking dish, cover with plastic wrap and refrigerate overnight. The next morning, take the baking dish out of the refrigerator and allow the rolls to sit on the counter for about an hour. 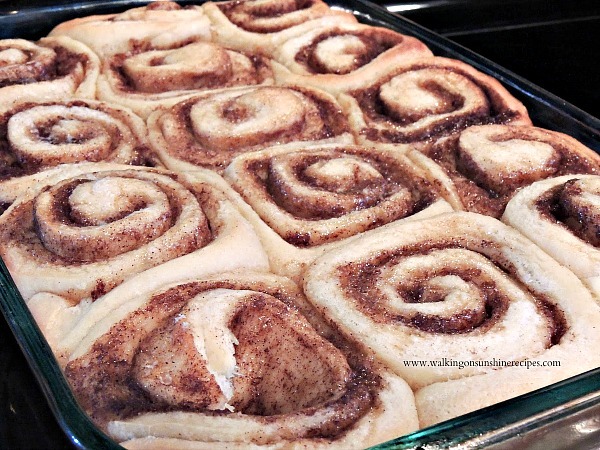 You want the cinnamon rolls to come to room temperature before baking. They will even begin to rise a bit more. 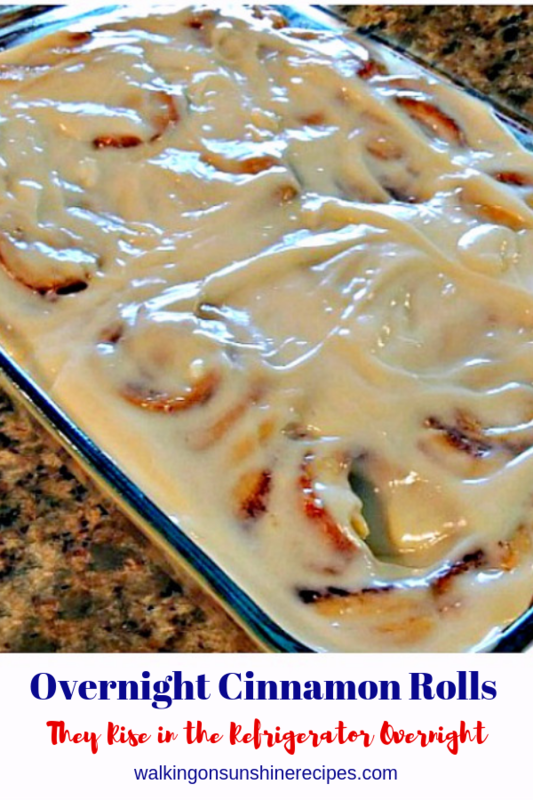 Prepare the homemade icing while the cinnamon rolls are baking. Let them cool for about 15 minutes before spreading your glaze on top. If you spread the glaze too soon, it will melt and not be the proper consistency. This was a fabulous recipe! I will definitely be making these rolls again! Overnight cinnamon rolls are easy to prepare for the mornings you want a special breakfast. Prepare them the night before and let them rise in the refrigerator while you sleep. The next morning you bake them and enjoy them! 1/2 cup 1 stick butter at room temperature. After the dough has doubled in size, transfer it to a floured surface. 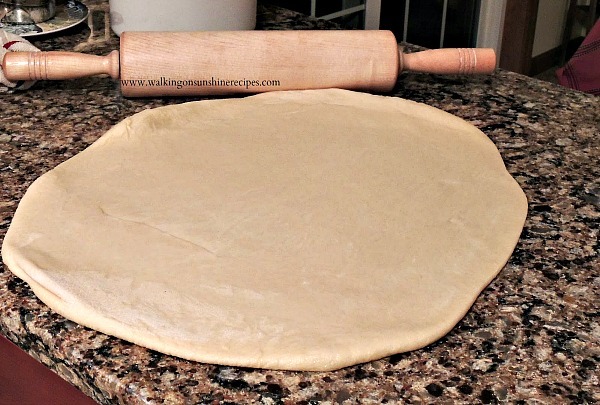 Using a rolling pin, roll out the dough until it is about 15 X 10 inches in length. In the morning, remove the cinnamon rolls from the refrigerator and let come to room temperature, about another hour. They will rise again. Bake in a 350 degree preheated oven for about 30 minutes or until slightly brown. While the cinnamon rolls are baking, prepare your glaze by mixing together all the glaze ingredients in a bowl. Allow the cinnamon rolls to cool for 15 minutes before pouring the glaze on top. If you add the glaze too soon, it will melt. Oh these look so good!! Thank you! These looks so delicious. I haven't attempted to make the yeast dough recipe but your rolls look so delicious I'll have to give it a try. OMG these cinnamon rolls look SO GOOD!!! Thanks for sharing at Simple Supper. Pinning and making! 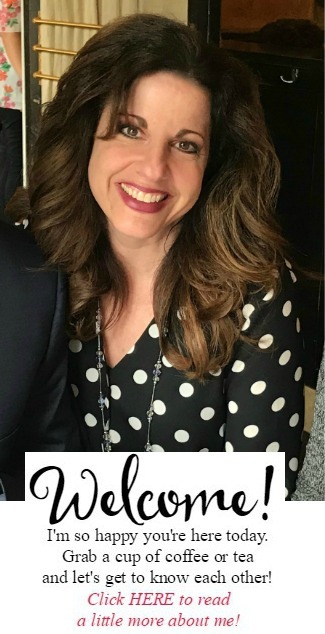 Thanks for sharing at the Fluster's Muster Linky Party!! Definitely pinned! 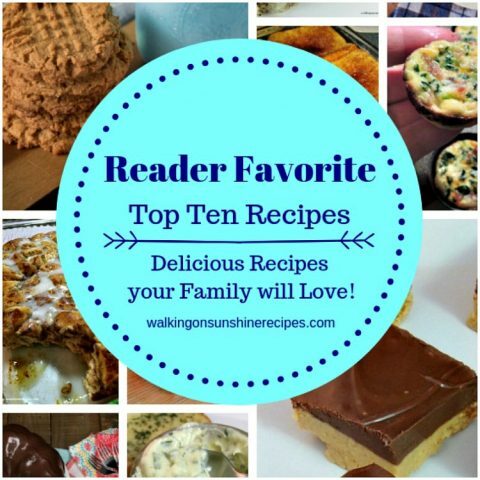 I have made a few recipes before and the best I found included 20 tbsp of butter (waaaay too much!) so I would like to find a better alternative. Thanks for sharing. I would just love waking up to this special treat! Thank you so much for sharing with Full Plate Thursday and have a great weekend. I love cinnamon rolls in the morning. I'm always looking for new recipes. Thank you for linking to the In and Out of the Kitchen Link Party. Hope to see you next time. Oh my goodness! These sound amazing! These were so good and worth every bit of extra effort! 🙂 I used fresh ground wheat berries and honey granules for the sugar, and sucanat for the brown sugar. I also added 1 tablespoon of lecithin and one tsp of vital wheat gluten to help with rise. SO GOOD! Thanks for the tip on waiting to ice them – my icing always melts because I'm too eager to wait. 🙂 This time I just made sure I had something else to do for those 15 minutes. Ha, ha! My children are HUGE fans. Thanks! My father-in-law makes these every time we visit and they are so much better than store bought! It's great to have the recipe for myself now! Oh these look delicious! Thanks for linking up! I have a brunch to go to tomorrow morning- I'm making these! These look perfectly delicious! Thanks for sharing! I made these yesterday and enjoyed them this morning!! They were so easy and AMAZING!! My family said that I better keep this recipe and not change a thing. I found your recipe on Pinterest and I'm so glad I did!! I am starting a blog and would love to make these on the blog but give the credit to you with a link to your blog. I'm just beginning to learn about blogging and wanted to make sure that you would be okay with this. I just made these…WOW! What a great recipe! I have made many cinnamon rolls before, but these were just amazing! The dough was super fluffy and soft. Best yeast dough I have ever worked with. Thanks so much for this wonderful recipe. It's a definite keeper! Can you make them ahead, freeze before allowing to rise? How long can these be store in the fridge? Trying to plan all my preparing, cooking, and baking for tonight and I wonder if I can make these earlier rather than later. These look so yummy though! How did they turn out??? Do you use light or dark brown sugar? Can’t wait to make them. Thank you! I always use light brown sugar. Would love to know how the recipe turns out for you. Thanks for visiting. Love this recipe so much! Made for Christmas morning! Perfect cause made night before . Thank you for letting me know! Merry Christmas! Do they have to be refrigerated overnight? Yes, you need to refrigerate them overnight. They will rise in the refrigerator. Thanks for visiting.